All Sorted Business Services is a long term member of the Institute of Certified Bookkeepers (ICB). Our business is built around the ICB’s code of professional conduct, therefore, ensuring that we are totally aligned with the profession’s fundamental principles. The Institute requires our staff to complete regular training, ensuring that we up to date with systems, legislative and industry changes affecting our client’s businesses and the profession. Scott Elsom sits on the Institute’s advisory board and is an active local and national member of the organisation. 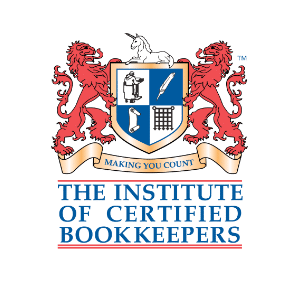 The Institute of Certified Bookkeepers (ICB) is the largest bookkeeping institute in the world. It promotes and maintains bookkeeping standards for the profession, through the establishment of a series of relevant qualifications and the award of membership grades that recognise academic attainment, working experience and competence. Membership ensures that your bookkeepers is suitably experienced and qualified, and maintains those qualifications through continuous professional development. This section on the ICB website explains what it means to be a certified bookkeeper. It be useful in explaining what we do and how we do it.